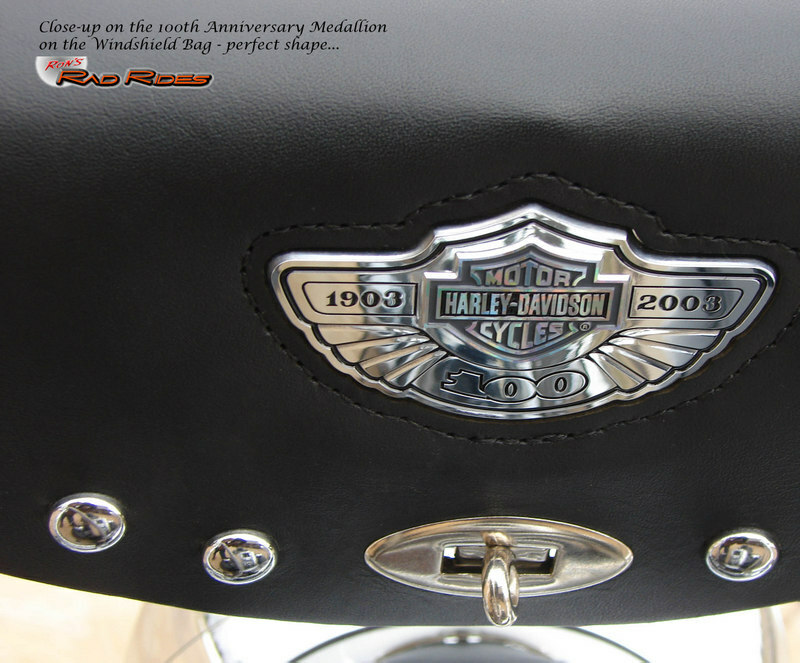 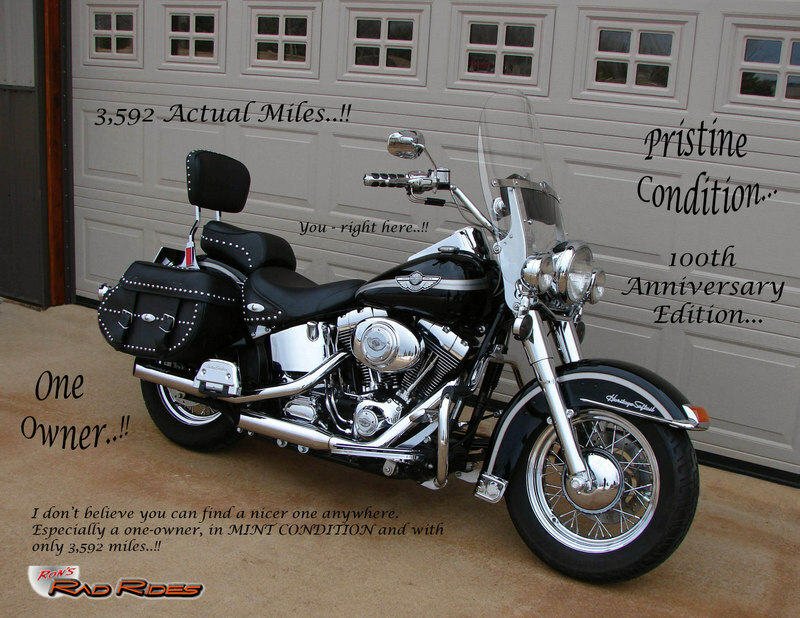 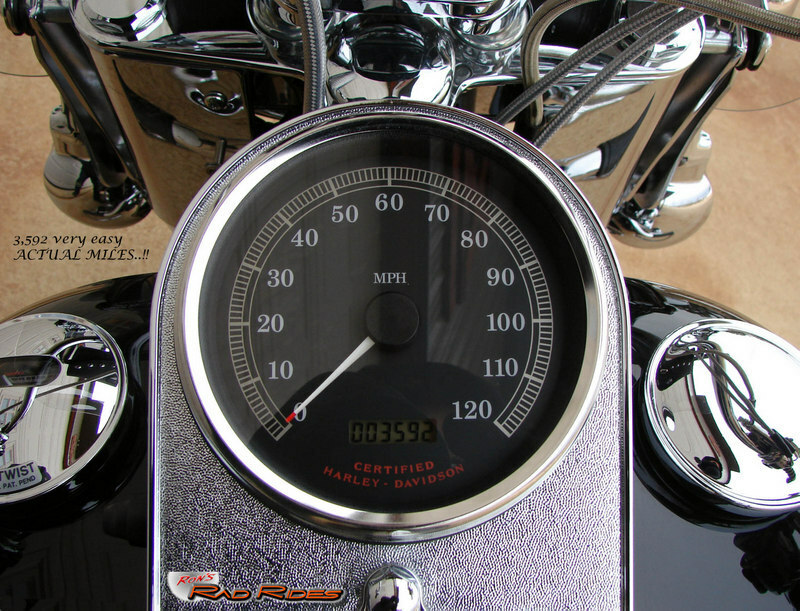 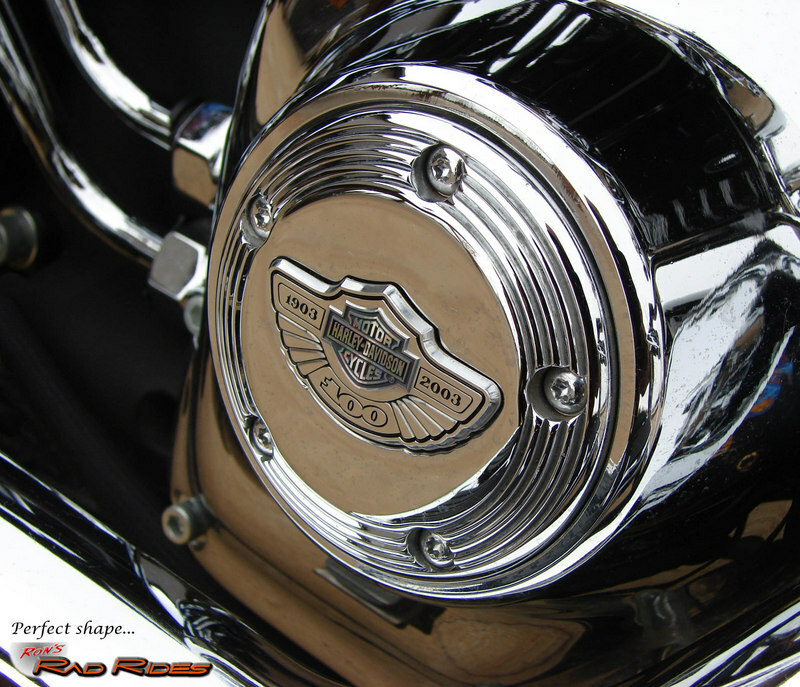 This is a VERY NICE One-Owner 100th Anniversary Heritage Softail Classic that has been stored in a Climate Controlled environment its entire life and has only 3,592 ACTUAL MILES..!! 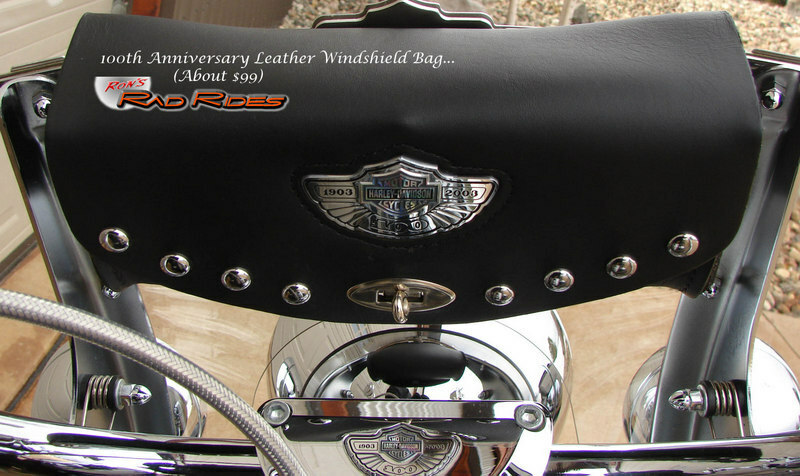 It also has a LOT of very nice upgrades which include the following: Complete HD Chrome Front End, a Quick Release 100th Anniversary Windshield, a 100th Anniversary Air Cleaner Cover Insert, a 100th Anniversary Timer Cover, and a 100th Anniversary Derby Cover, as well as a 100th Anniversary Leather Tank Console and a 100th Anniversary Logo on the Seat. 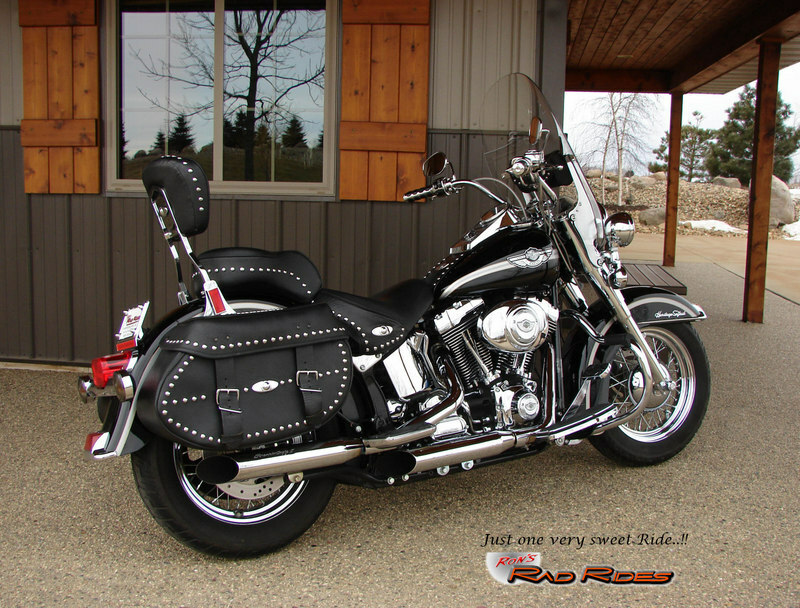 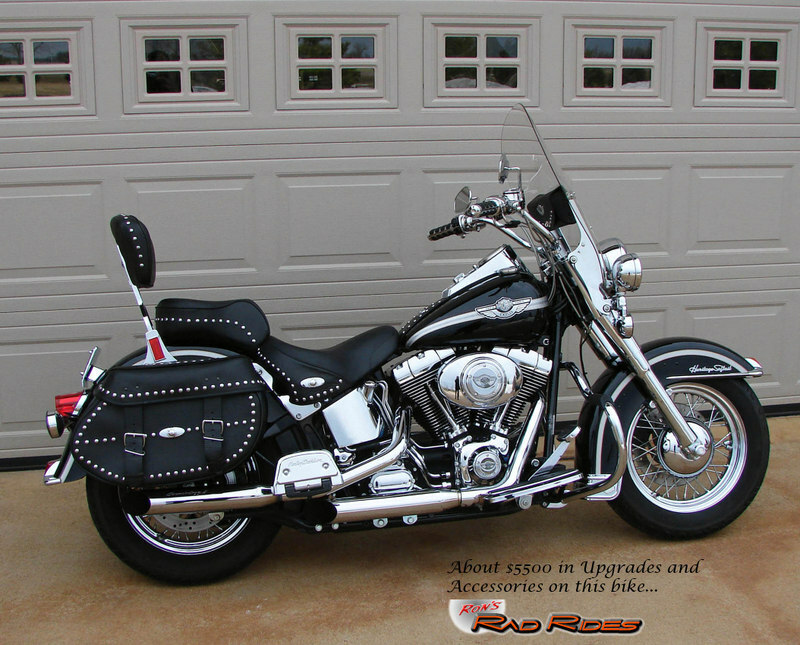 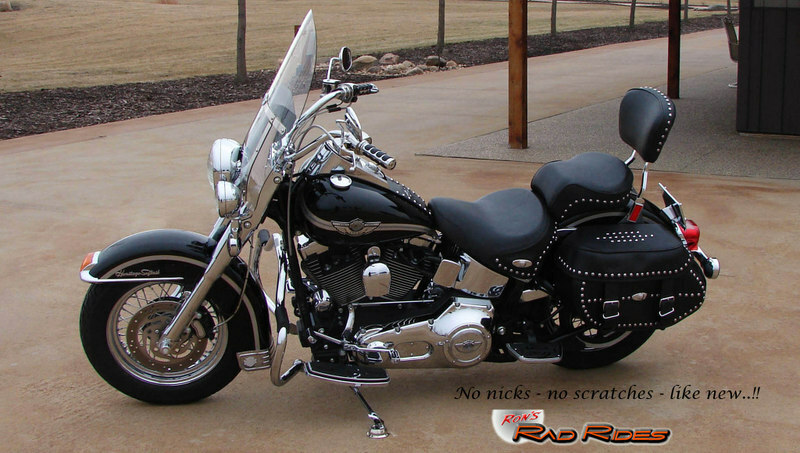 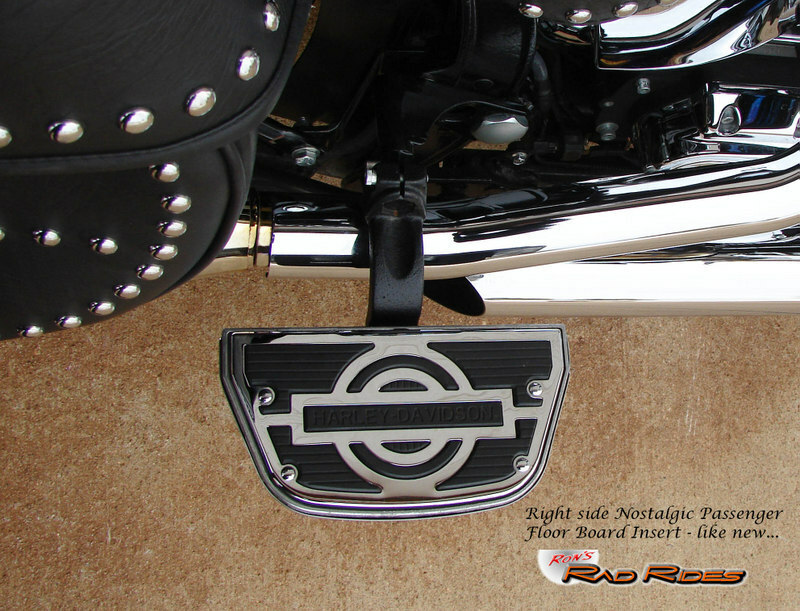 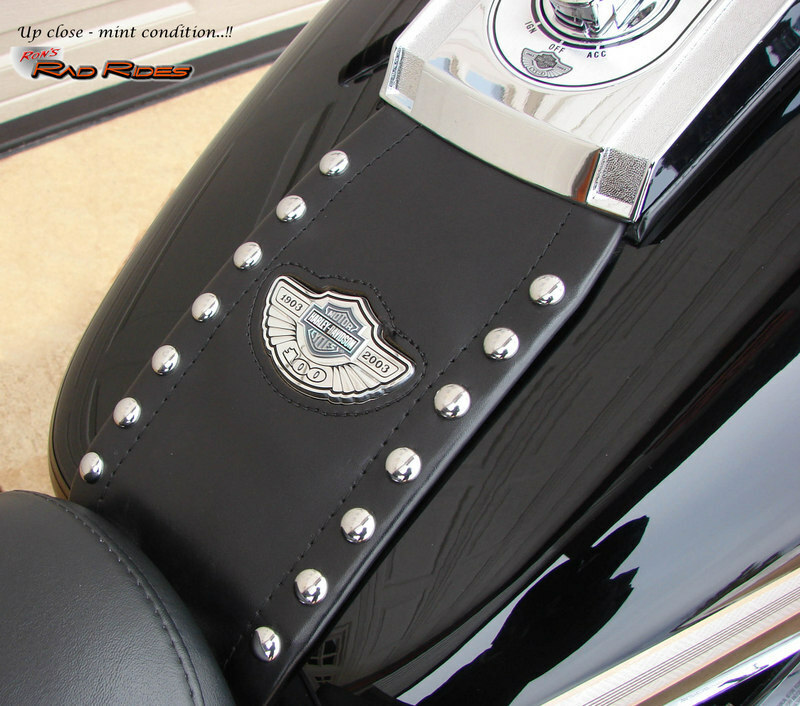 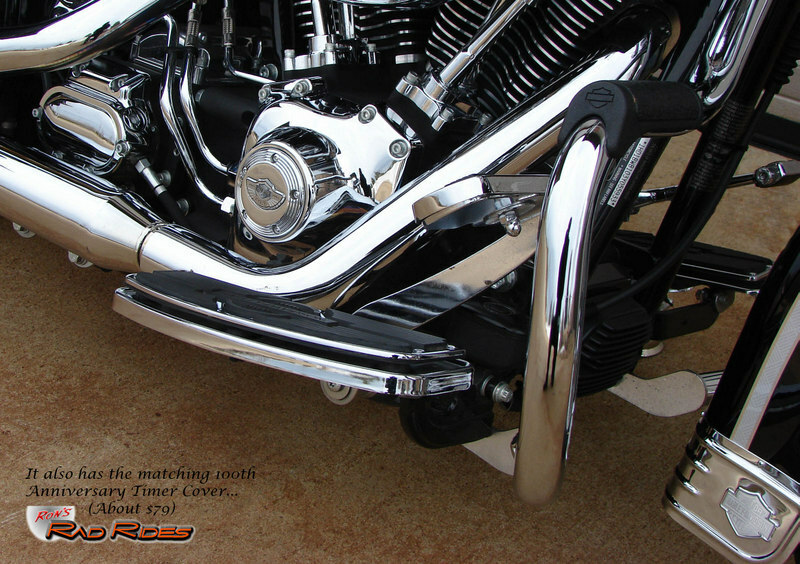 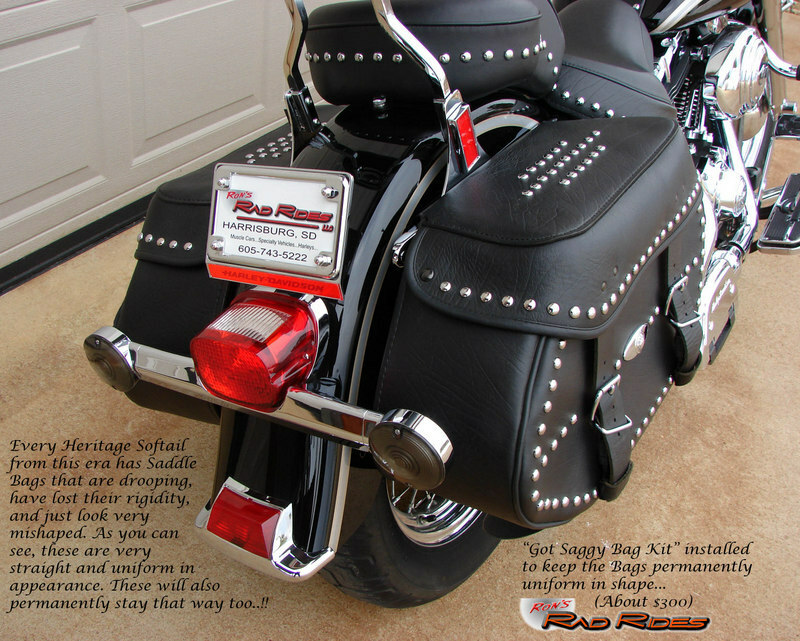 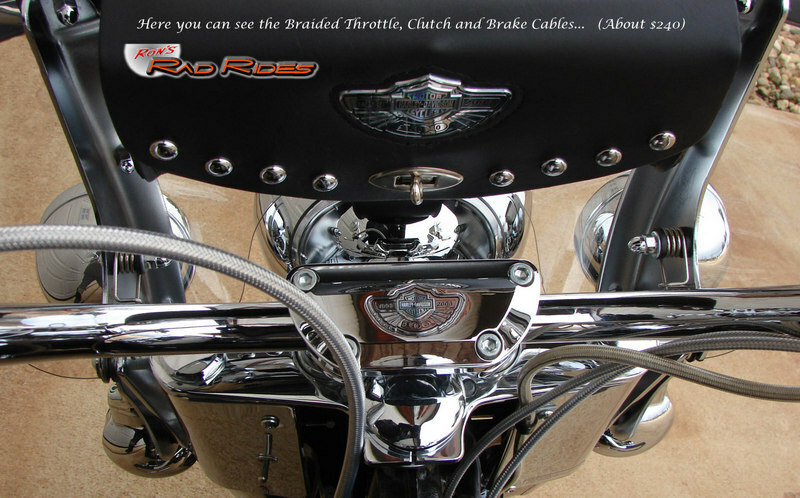 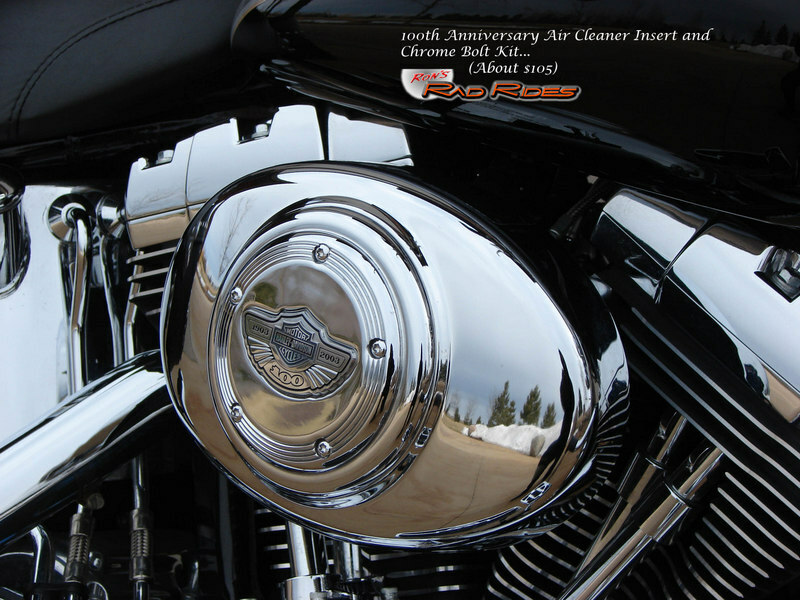 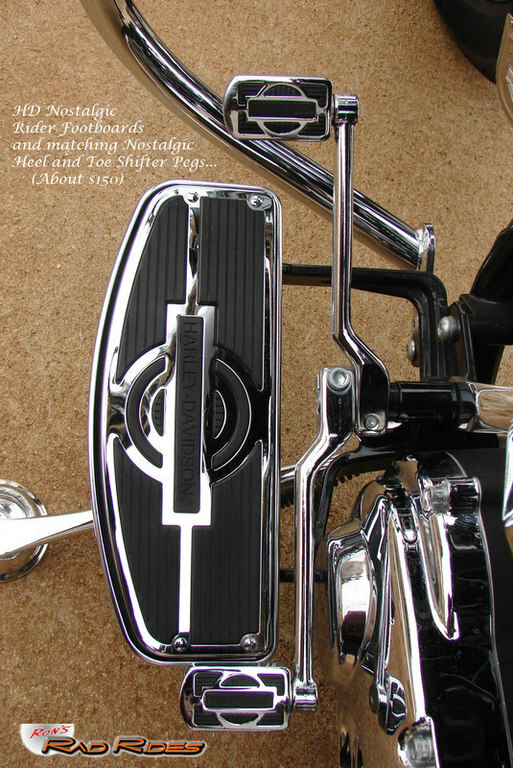 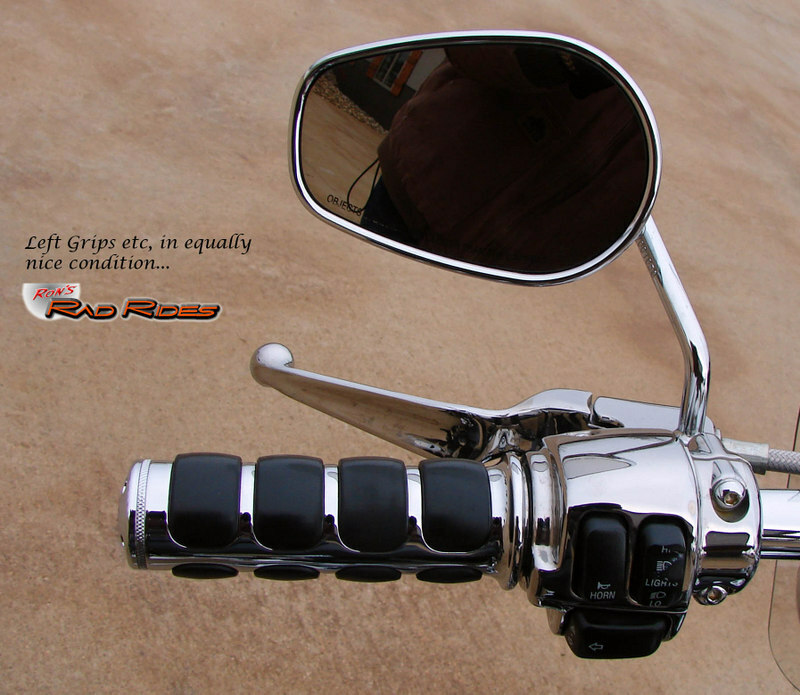 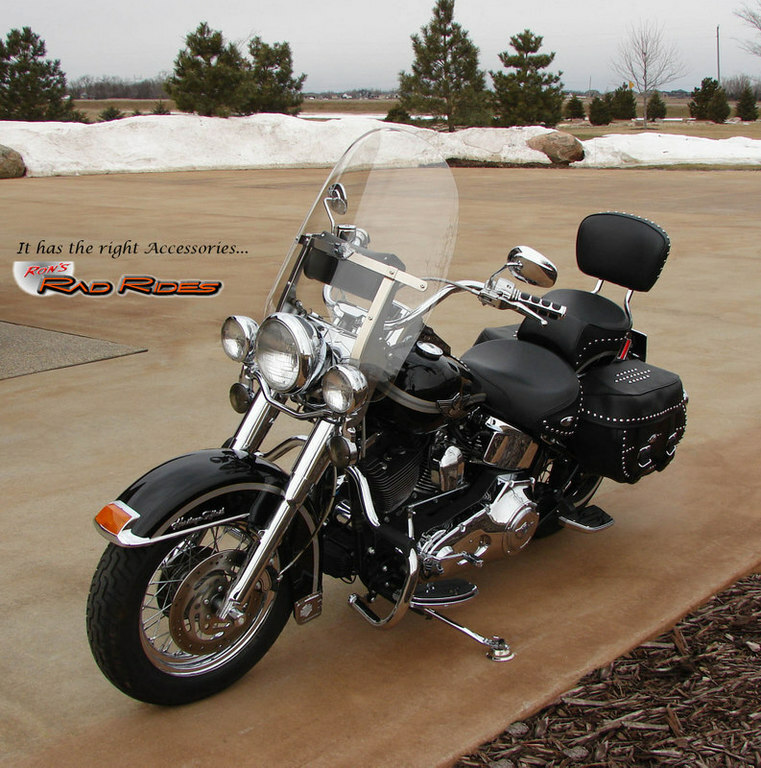 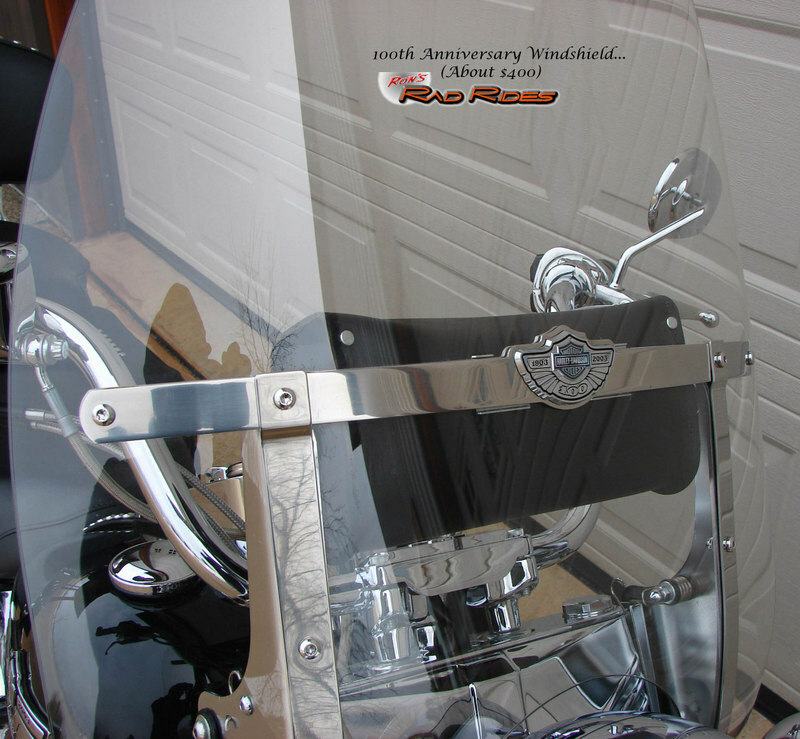 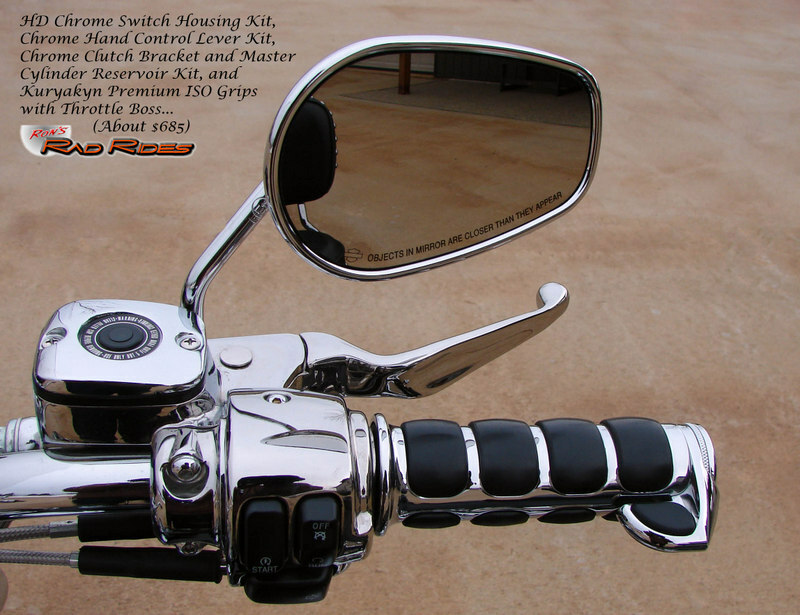 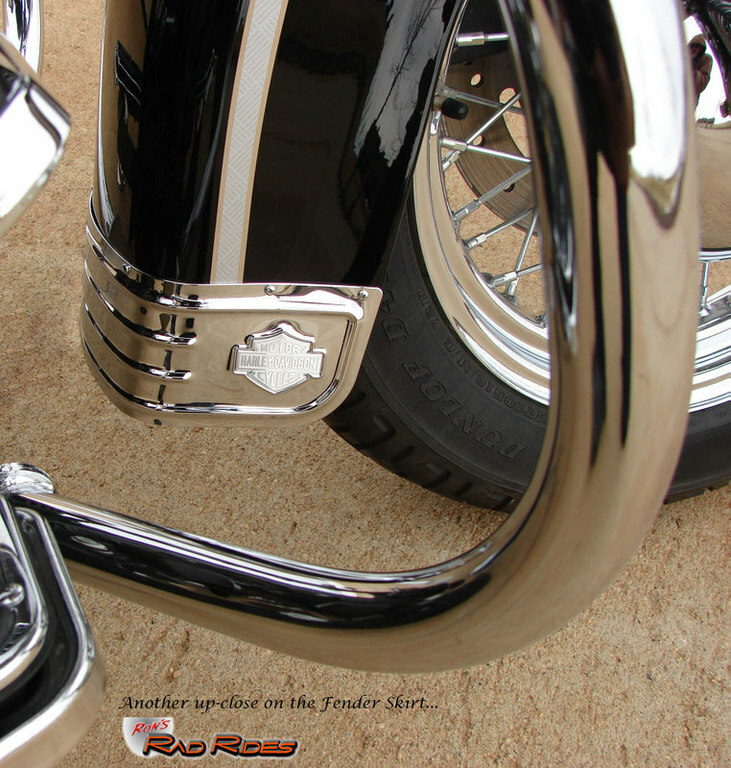 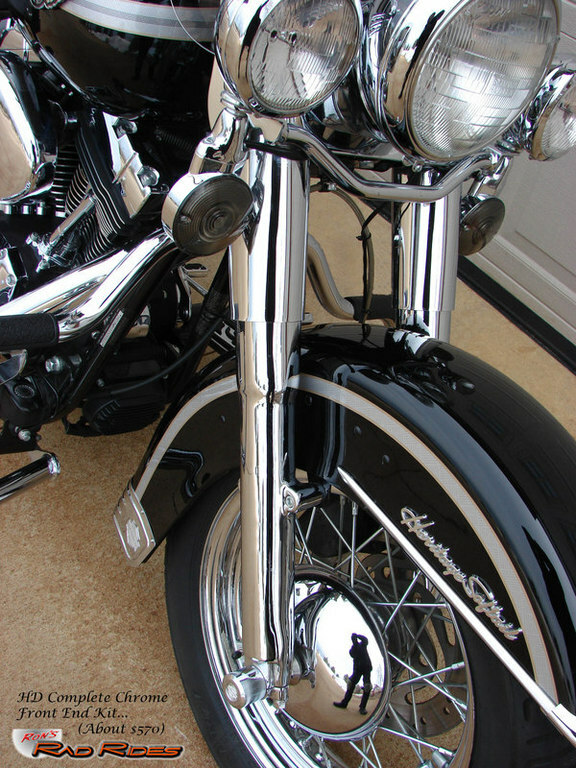 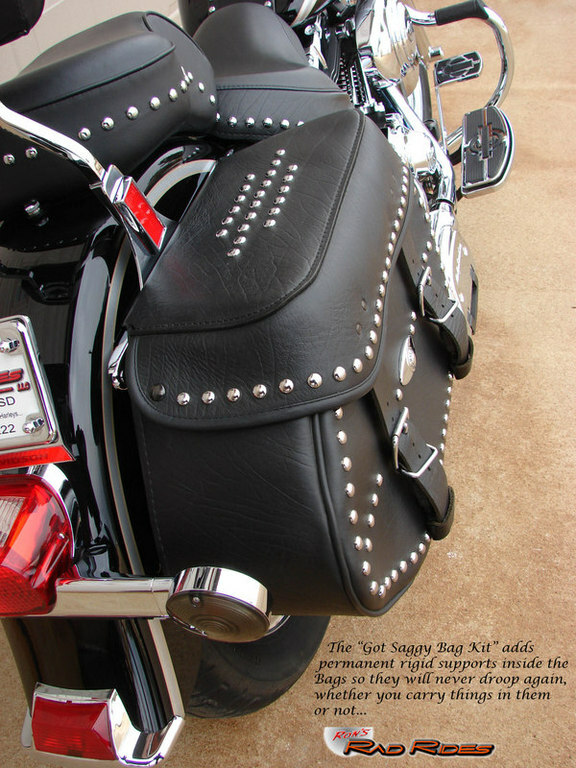 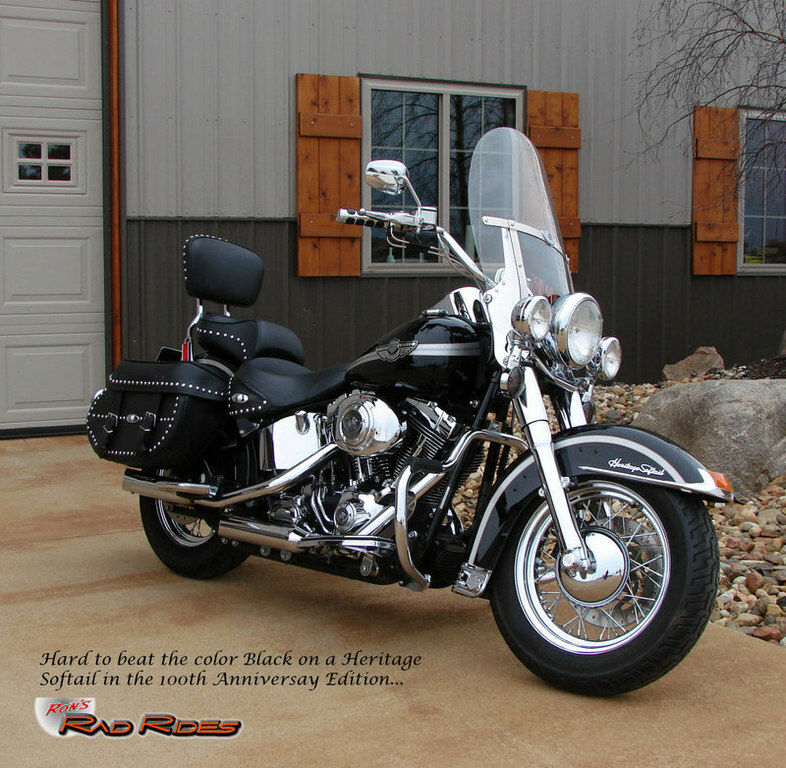 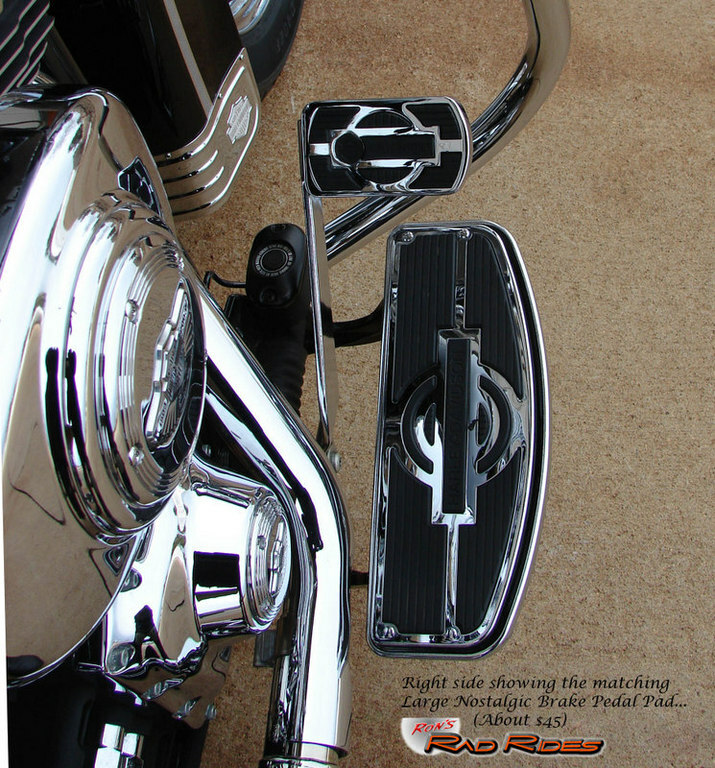 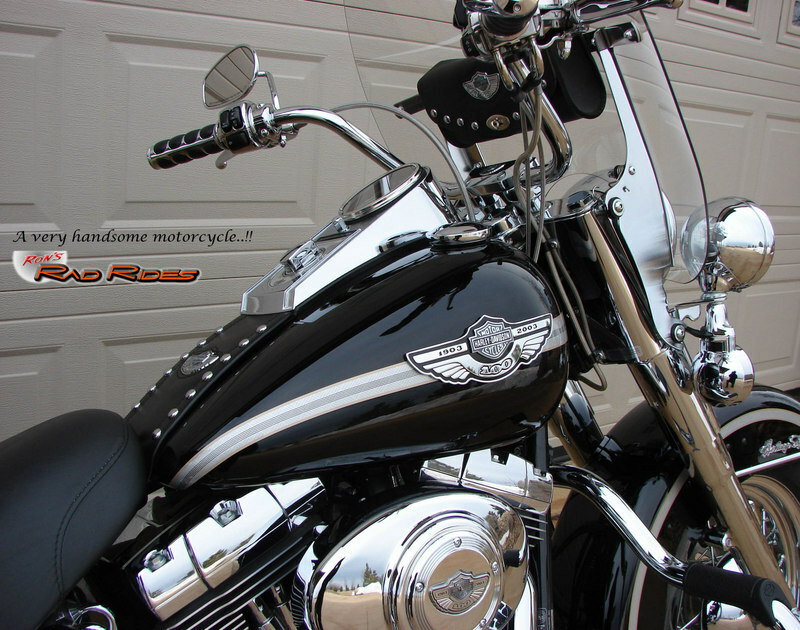 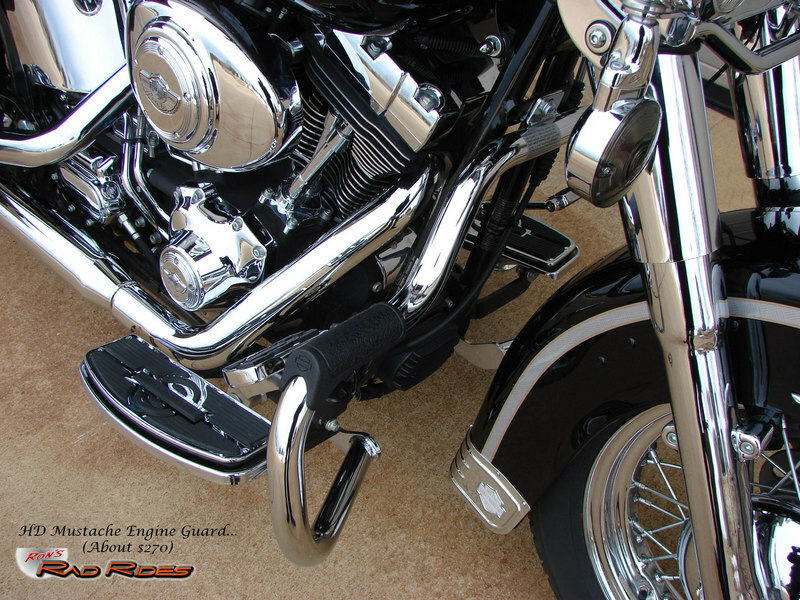 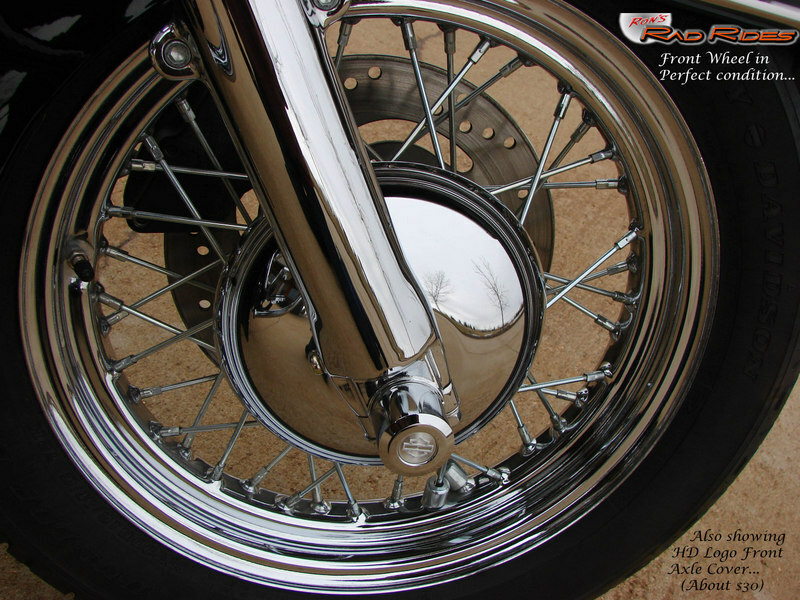 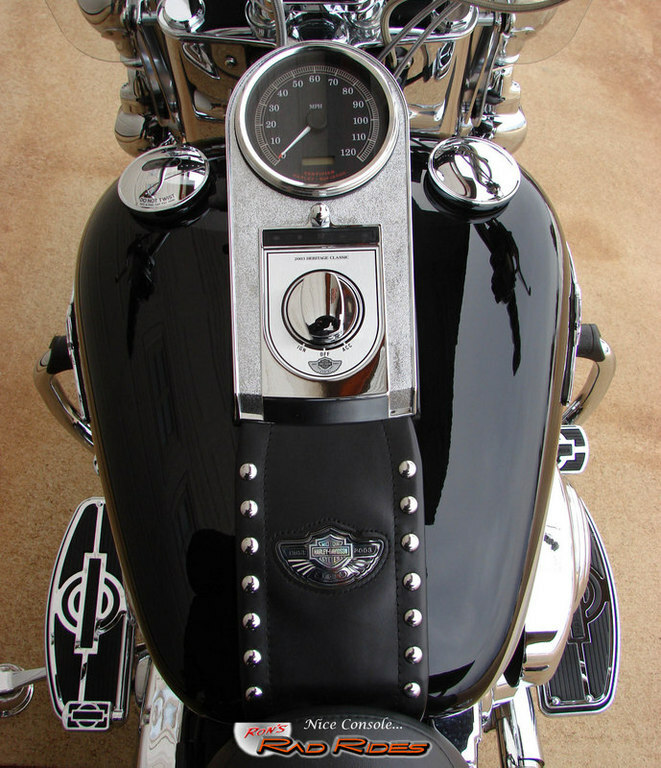 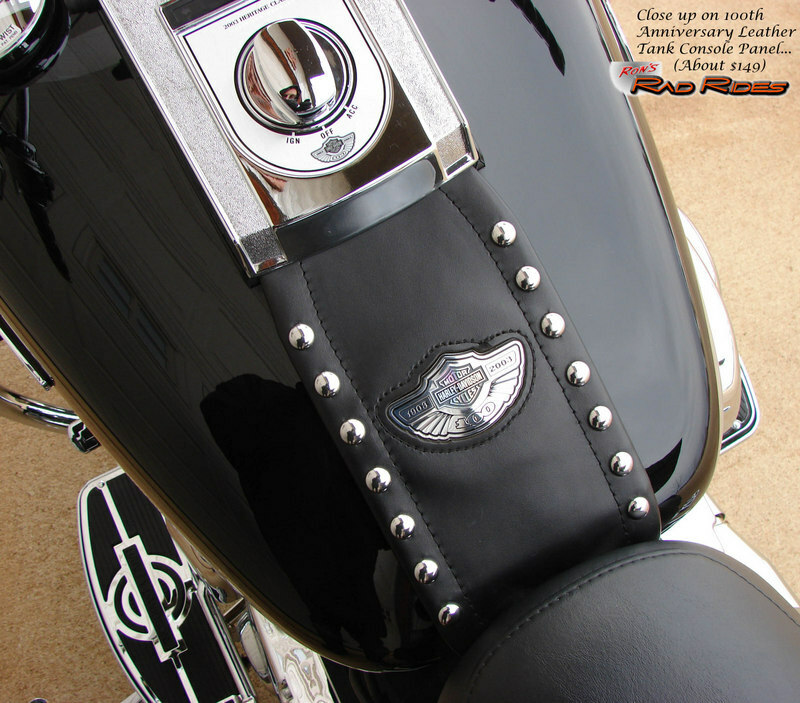 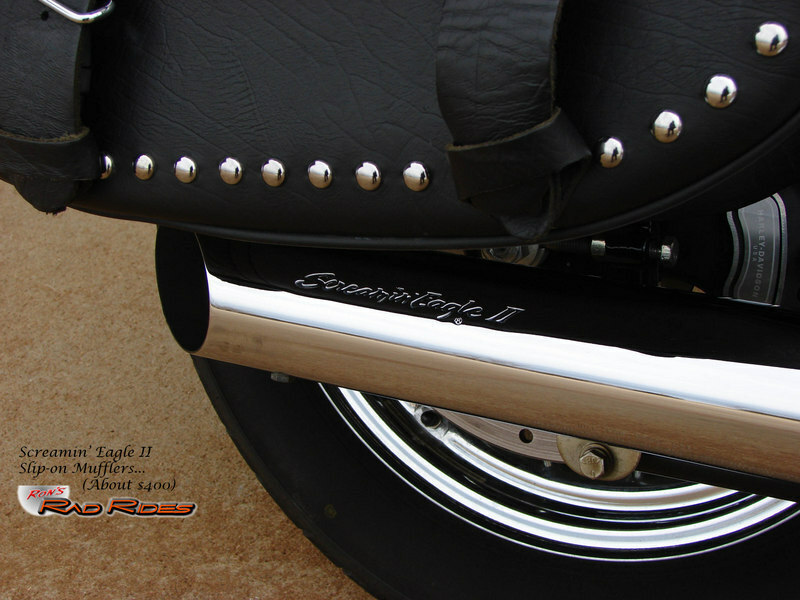 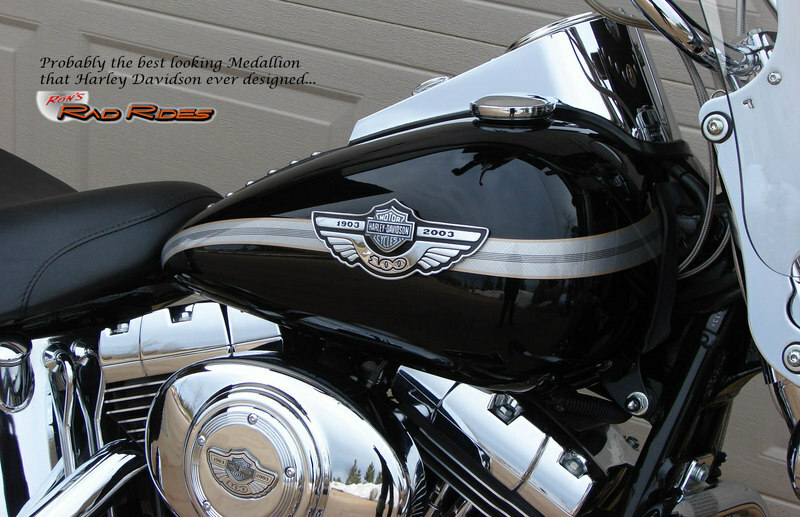 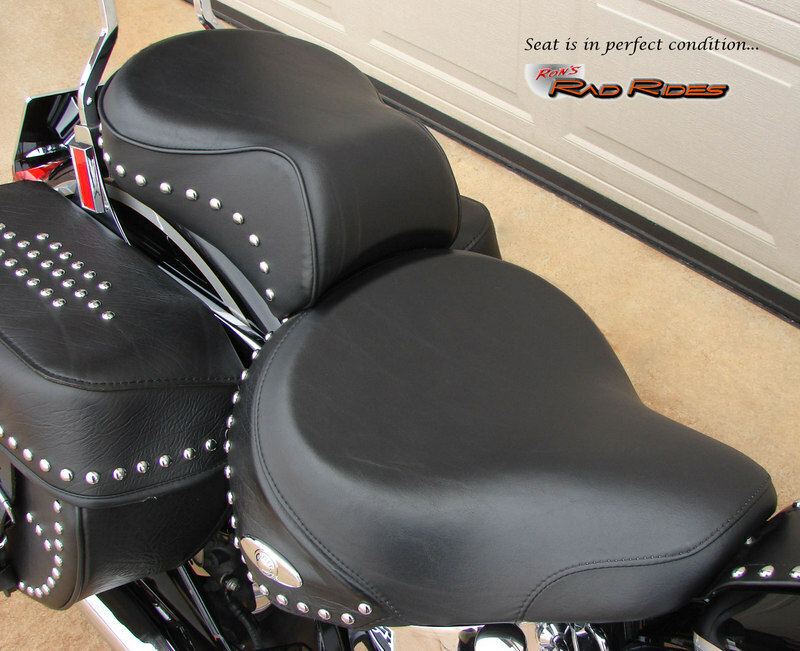 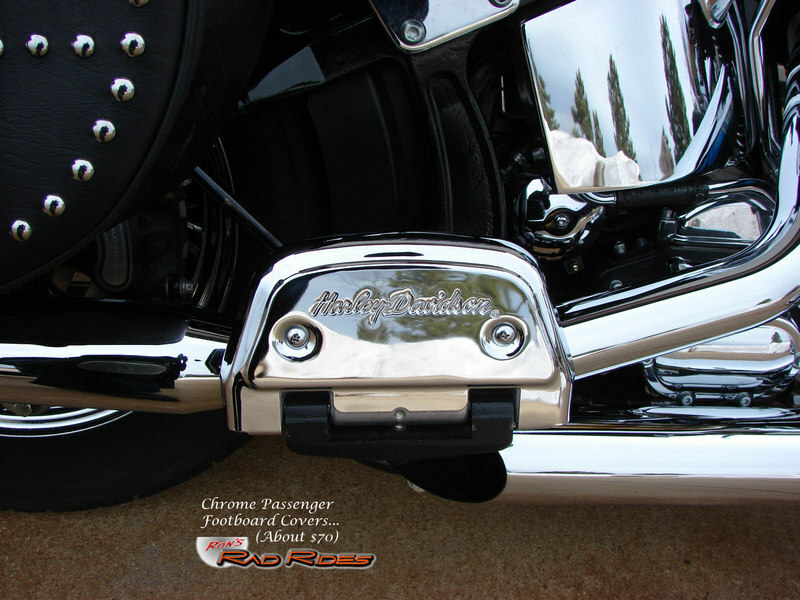 In addition it has an HD Logo Front Fender Skirt, complete Chrome Switch Controls, a set of Chrome Clutch and Brake Levers, the Chrome Clutch and Brake Bracket Kit, the Braided Clutch, Throttle and Brake Line Kit, and much, much more! 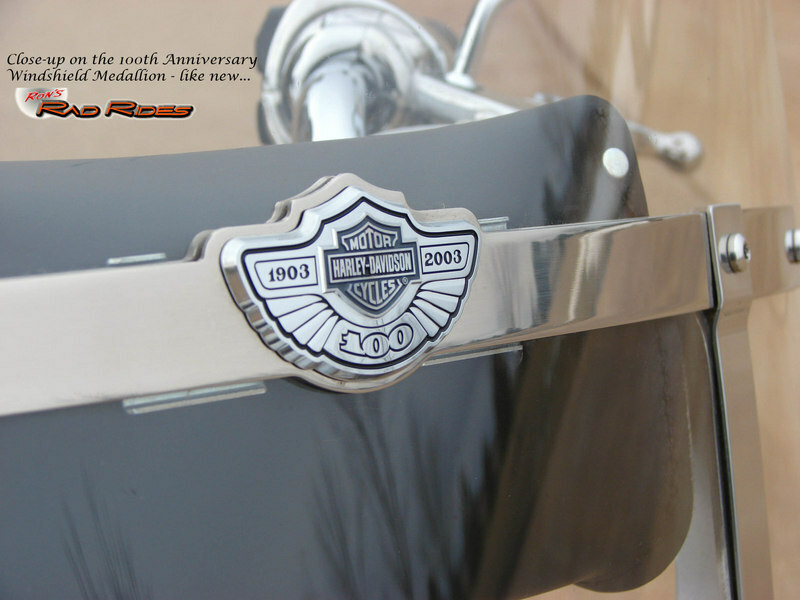 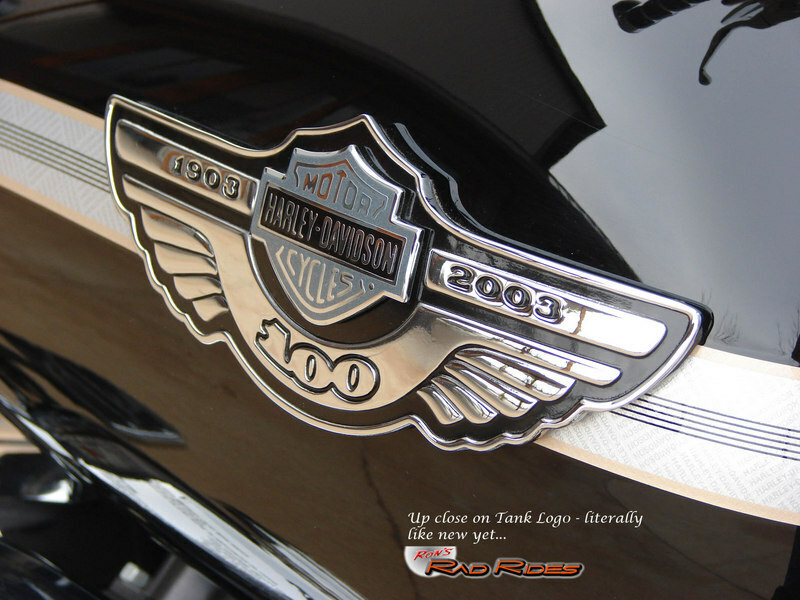 If you are looking for one of these 100th Anniversary Bikes, you have probably found they are becoming quite hard to find. 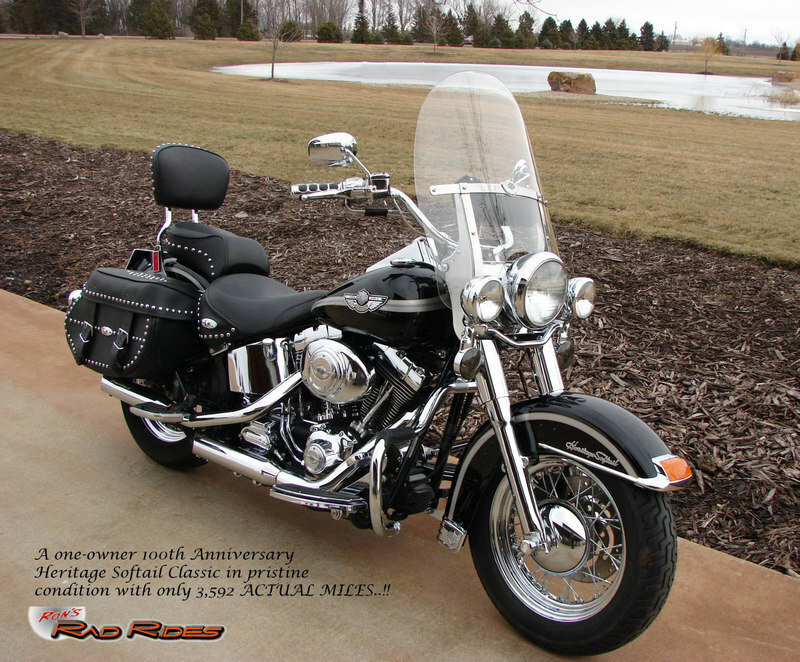 However, even if you do find one, it probably won't be a ONE-OWNER with only 3,592 miles. 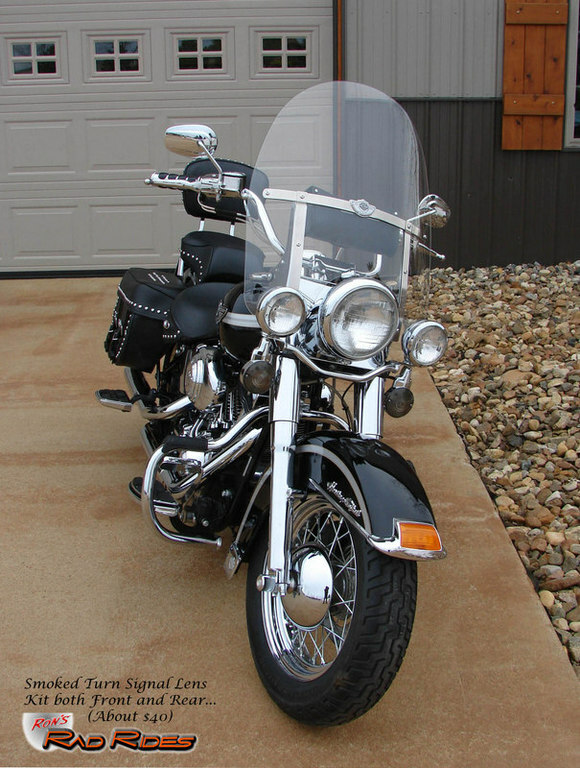 And, one with all of the great upgrades this bike has, as well as having been stored in a Climate Controlled environment it's entire life either. 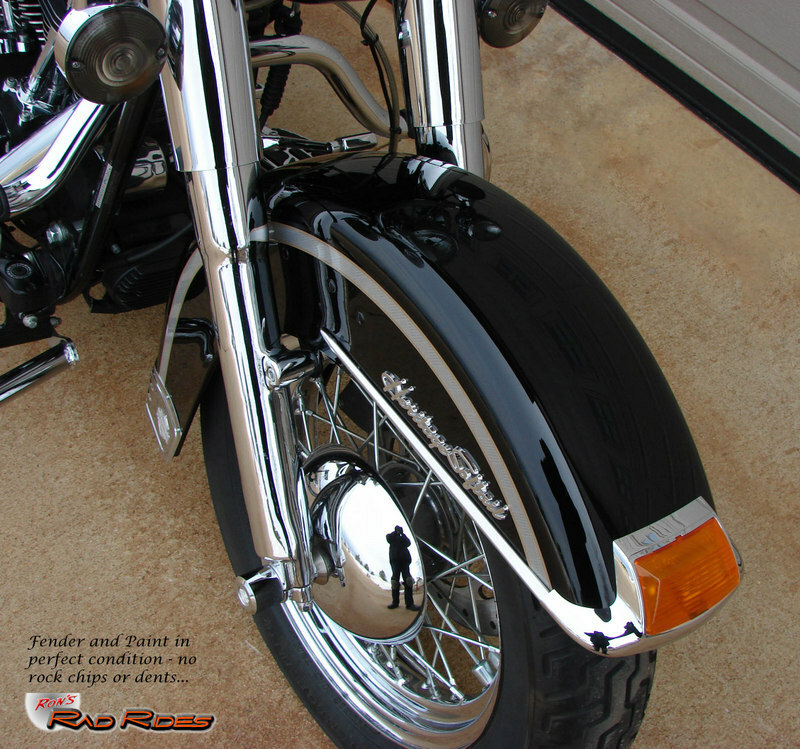 And, obviously Black is the best color to own. 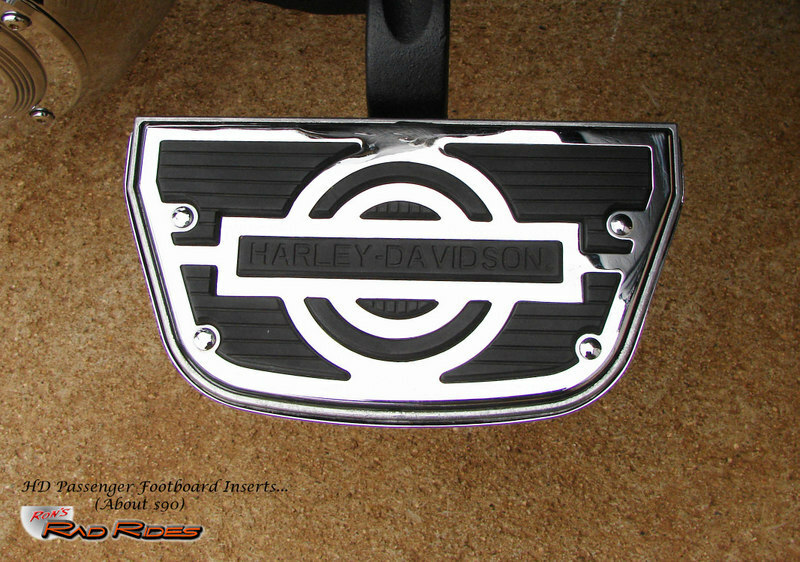 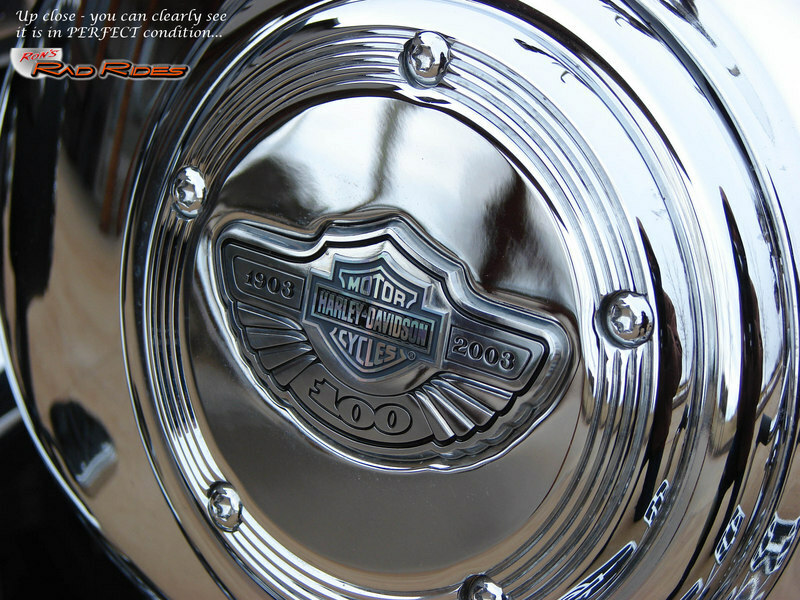 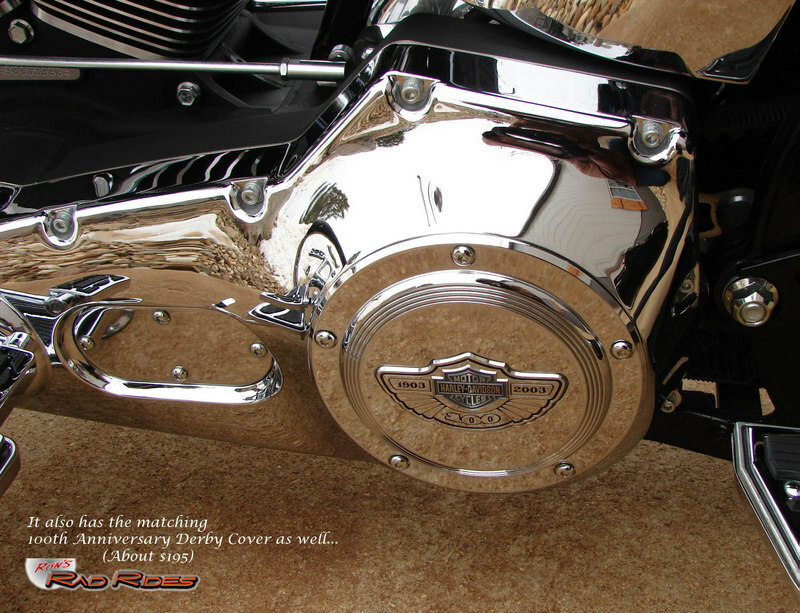 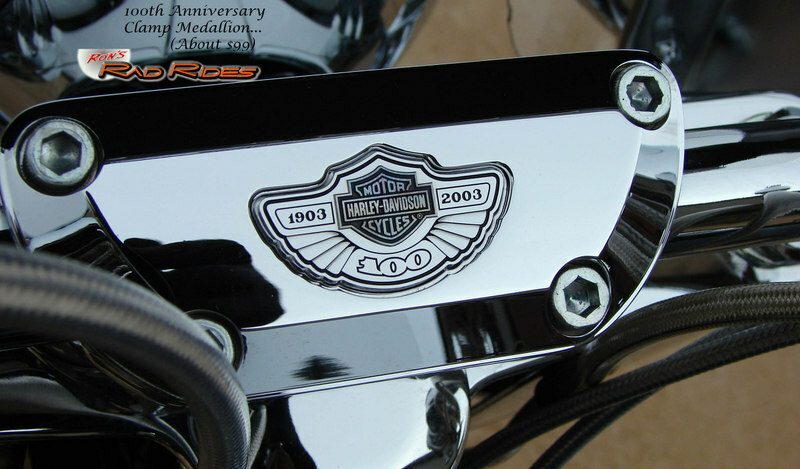 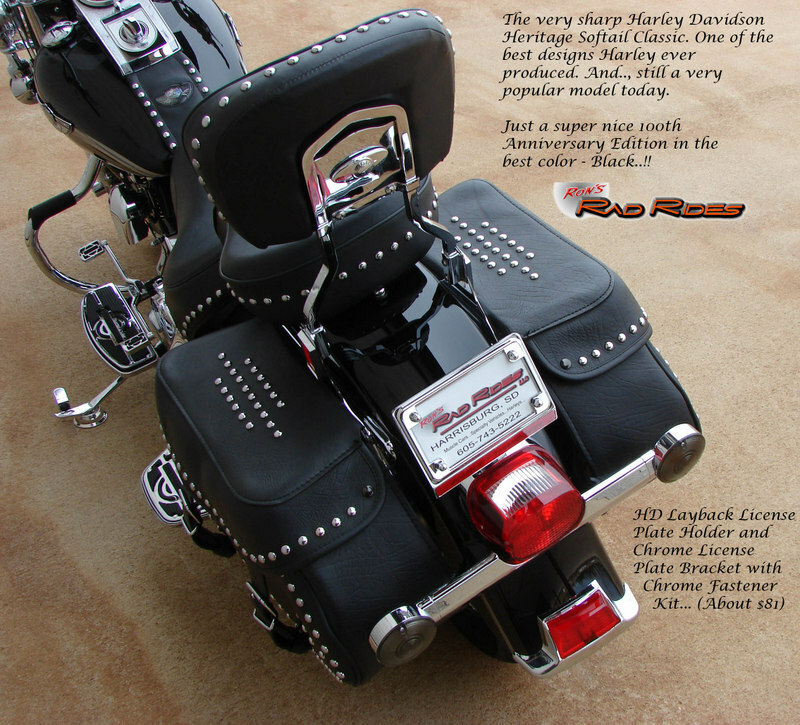 (Classic Harley Davidson color.) 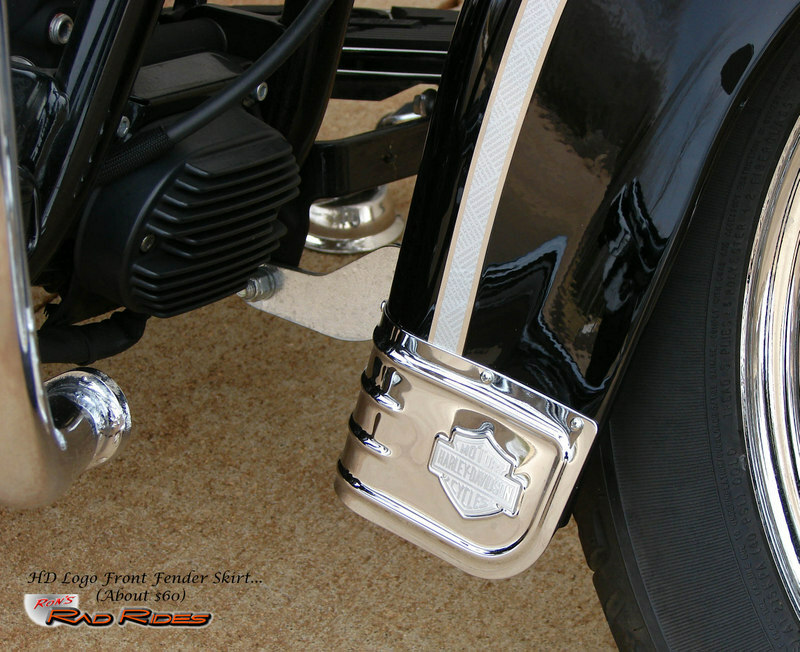 Simply the best of all worlds here!